Join more than 2,000 Miami Valley residents in Five Rivers MetroParks' annual Earth Day celebration on April 13, 2019! Spend the morning volunteering in parks and other areas across Montgomery County! In 2018, nearly 2,200 volunteers planted 250 trees and 40 bulbs, cleared 35,000 lbs. of litter and debris, 6 miles of roadways, 27 miles of trails and 31 miles of waterways! 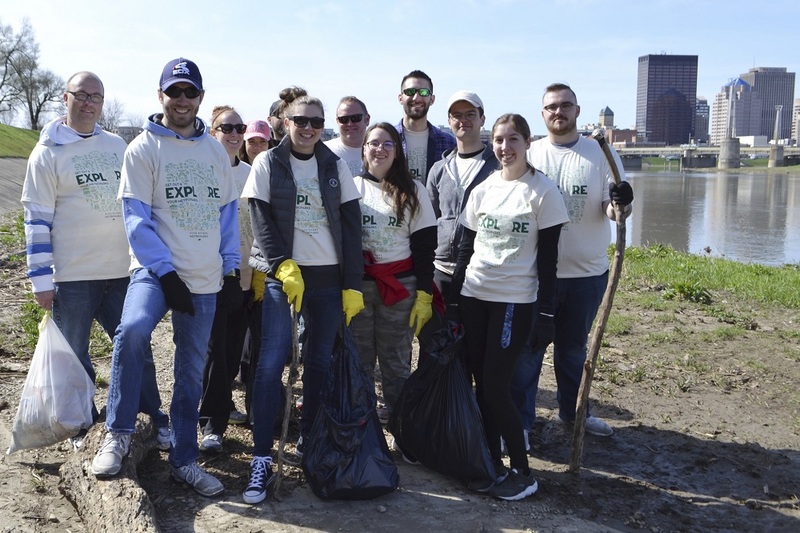 Volunteers will be assigned to a crew that will work sections of waterways or work at a MetroPark removing litter and doing other Earth-friendly tasks. Individuals and groups of all ages and abilities are welcome. Gloves and trash bags will be provided. Please bring your own drinking water. Wear suitable clothing for the weather and boots or thick-soled shoes. Participants will not get in the water. Note: More locations may be added in the near future.